South Africa has developed what is arguably one of the most successful IPP-driven renewable energy programmes globally. Despite being critiqued for its heavy reliance on coal-fired power in the past, South Africa has developed what is arguably one of the most successful IPP-driven renewable energy programmes globally. It has hosted the fastest-growing clean energy market over the past five years and is now one of the world’s most attractive RE investment destinations. By the end of 2015, South Africa was included on the shortlist of leading emerging markets with significant investment potential. And then the groundbreaking national Independent Power Procurement Programme came to an abrupt halt. For the next two years, the national vertically integrated monopoly utility refused to sign further power purchase agreements. With national procurement law prohibiting the purchase of utility-scale power by any other buyer, IPPs had no choice but to wait for the government as the procurer to get the programme moving again. Fast-forward to March 2018, with a new national President and Minister of Energy at the helm, the impasse was broken within weeks, allowing the flow of over R56 billion in renewable power investment into the economy, the creation of over 15 000 jobs and for the work to begin on achieving much-needed rural economic development. 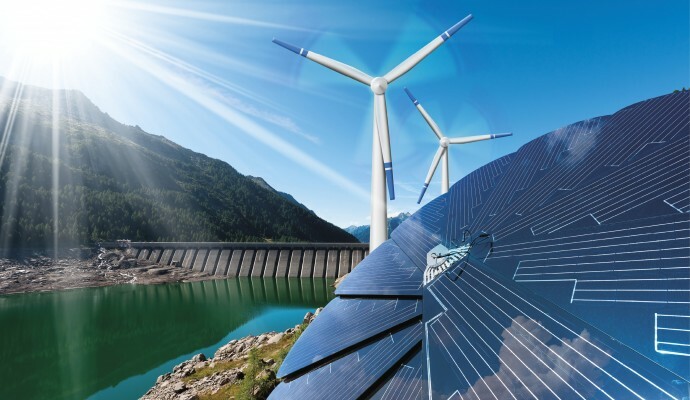 For many, the signing of power purchase agreements (PPAs) with renewable energy producers by Minister Jeff Radebe signals the reawakening of South Africa’s successful public-private partnership through the Renewable Energy Independent Power Producer Procurement (REIPPPP) programme. The 27 projects, located mainly in rural parts, would amount to R55.92-billion in new direct investment in the energy sector and create much-needed jobs. The REI4P has been lauded as one of the most ambitious South African public-private partnerships (PPPs) to date. This is largely due to its competitive bidding process, the benefits of which include an increased competition to drive reduced pricing to allow South Africa to meet its climate change commitments whilst producing and supplying much needed cost-effective capacity to the grid. In addition to compliance with competitive bid requirements, which carry a 70% weighting on pricing, IPPs must include plans for achieving socio-economic development and enterprise development to communities in a 50km radius of IPP sites as part of their bid. This additional component carries a 30% weighting (Eberhard, Kolker, & Leigland, 2014). The combination of a competitive bidding procurement approach, along with a heavily weighted socio-economic development component, makes South Africa’s REI4P a uniquely ambitious PPP. 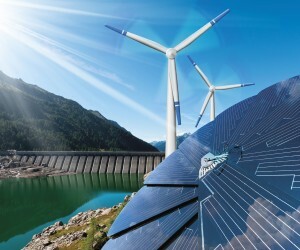 According to information released by the Independent Power Producer Procurement Programme to Parliament last March, together, SA’s renewable energy projects contribute 3 773 MW, compared to the 43 485MW currently delivered by fossil fuels, with the existing investment in South Africa’s sustainable energy projects totalling R142 billion. The contracts signed by the government last year, worth an additional R56 billion, are expected to add 2 300MW of electricity to the national grid over the next five years, with 27 independent renewable energy power producers. The average time for construction to completion of renewable energy projects is 1.9 years. Brenda Martin, the CEO of the South African Wind Energy Association provides insights on the REI4P and its role of moving towards increasing renewable energy in the country’s energy mix. “REI4P is a competitive tender process that, as part of the national policy to diversify the power mix, was designed to attract private sector investment into utility-scale renewable energy (RE) generation in South Africa. As has been found globally, renewable tariffs have fallen sharply since the programme was launched in 2011, and the most recently-awarded projects were amongst the lowest priced grid-connected renewable projects in the world. “South Africa has long had a coal-dominated economy with coal-fired power stations providing 92% of SA’s electricity. The REI4P has enabled the addition of just under 5% of the total generation from independent renewable power. This still falls short of the IRP2010 objective of adding a 9% share of renewables by 2030, along with a decline of coal to 65%,” says Martin. Since its initiation, the programme has been instrumental in attracting both foreign and domestic investment. Of the approximate R201.8-billion investment attracted to date, 25% of this is made up of foreign direct investment (FDI). The balance is made up of domestic investments. The REI4P has been successful due to its pioneering social and environmental requirements. The programme recognises and seeks to contribute to achieving the national developmental objectives by ensuring benefits to local communities, service providers and employees. “By the end of Round 3.5, the programme had distributed R472.6-million to socio-economic and enterprise development initiatives in rural areas. To date, over 26 000 jobs have been created during the construction phase and over 3 000 jobs have been created in power plant operations (DoE, 2016). The recently-signed Round 4 projects have an investment value of R58 billion and will release over 15 000 jobs. It is worth noting that REIPPs have generally exceeded their job creation commitments by 27% (IPPO, 2016). The REI4P has therefore ensured diversity of South Africa’s power mix, grown foreign and domestic investment, created jobs and benefited rural communities surrounding wind farms,” says Martin. South Africa’s utility-scale renewable power market has already procured over 6 000MW since 2015. Within this, wind power produces over 50% of the total RE power while accounting for 30% of the total cost. Approximately 900 wind turbines now generate renewable electricity into the national grid. As a significant FDI contributor, a driver of local socio-economic growth and providing the major share of South Africa’s RE power, wind power is a direct contributor to South Africa’s social and economic growth. “The country has plentiful wind and solar power resources to diversify and strengthen its power mix, along with clear evidence that the cost of wind power is now significantly cheaper than new coal-fired power. South Africa is also behind on achieving its climate change commitments and it is in the midst of a major water crisis in several provinces. The country is at a key stage of the national energy transition: tensions are emerging as it is increasingly understood what the transition away from coal will mean for people and planet,” she says. The South African Wind Energy Association (SAWEA) has called for the release of an updated Integrated Resource Plan (IRP) as the clear technology investment roadmap that the IRP provides is essential to investor and market certainty over a multi-decade time horizon. Such certainty is particularly important for attracting investment into and growing job-creating prospects in South Africa’s renewable manufacturing sector. “As we have seen over the past two years in particular, where the lack of an updated IRP has been cited as one of the reasons for stalling renewable power procurement, job loss effects have been felt most directly in South Africa’s renewable manufacturing sector. In addition to existing job losses, the job creation opportunities foregone as investors have opted to wait for policy certainty has illustrated the importance of an up to date IRP,” explains Martin. She says that the wind industry is committed to working with the government, civil society and labour to ensure that REI4P continues to positively contribute to job creation, advancing the transformation agenda and attracting new foreign direct investment, much of which will be in the manufacturing sector where the greatest job creation potential exists. “The industry meets regularly with these groups to discuss issues of concern and to consider how these objectives can be addressed in the achievement of the energy transition justly and with due consideration of the effects on future generations. “Renewables and the wind power industry, in particular, have a demonstrated alignment with President Cyril Ramaphosa’s national agenda of economic growth, particularly in the case of job-creating manufacturing, construction sector growth and rural development. The South African wind Industry is well-placed to provide opportunities for both investors and young professionals seeking to enter a future-focused industry with high prospects for growth,” explains Martin. South Africa’s five largest renewable energy projects, measured in terms of investment, are all multi-billion rand wind farms that contribute a collective 645.71MWs to the grid. Leading the pack as the largest of the renewable projects is the R2.4-billion Cookhouse Wind Farm. Owned by Old Mutual, the African Infrastructure Investment Managers (AIIM) and the Local Community Trust, the wind farm comprises 66 Suzlon S88 wind turbine generators with a capacity of 135.8MW. The wind farm is located just outside of Cookhouse, in the Blue Crane Route Municipality in the Eastern Cape, and spans 2 600 hectares of pastoral land leased from a local farmer. The wind farm first supplied electricity to the grid in March 2014. Suzlon Wind Energy South Africa constructed the wind farm and is currently responsible for its operation and maintenance. The Gouda Wind Project—135.5MW, Western Cape (R2.7-billion). Located in the Drakenstein Municipality, it has 46 AW3000 turbines mounted on 100 metre-high concrete towers. Jeffreys Bay—135.11MW, Eastern Cape (R2.9-billion). The wind farm comprises of 60 turbines, which weigh 424 tonnes each on a 3 700-hectare farm just outside of the popular surfing town, Jeffreys Bay. The Amakhala Emoyeni Wind Farm—131.05MW, Eastern Cape (R3.94-billion). The wind farm, Amakhala Emoyeni, which mean ‘aloes in the wind’ in isiXhosa, forms part of 13 000 hectares of leased agricultural farms near Bedford, a small town in the Eastern Cape. The wind farm comprises 56 Nordex N117/2 400 turbines with a capacity of 2.4MW each. Enel’s Gibson Bay Wind Farm—108.25MW, Eastern Cape (R2 billion). Owned by the Italian energy giant, Enel Green Power, this 108.25MW farm covers 4 300 hectares of land in the Kouga Municipality in the Eastern Cape. Along with 37 Nordex 3.0MW N117 turbines, they brought in free Wi-Fi to schools in the area for 1 000 students and built 40km of road. In May 2018, the Global Wind Energy Council (GWEC) released its annual market update. The report reflected on the growth of the global wind market over the past 38 years. While the US, Germany and Spain had initially led this growth, the introduction of Chinese renewable energy law in 2005 was a game-changing moment for the industry. Today, China is the world market leader on wind power, double the size of the second largest market—the United States. Commercial wind operations now exist in 90 countries around the world and wind is making a rapid transition from a technology reliant on policy support in most open markets to one where it is able to stand on its own. Wind power is leading the charge in the transition away from fossil fuels and continues to outperform its competition on price, performance and reliability. In addition to wind, investment in solar energy remains strong in southern Africa—more notably the Northern Cape Province in South Africa and Namibia—which is considered one of the best places globally to develop solar projects. One such project is the highly-anticipated Kathu Solar Park in the Northern Cape, which is set to launch this year. The R12-billion South African solar farm has successfully completed its first synchronisation of power to the national grid. In November 2018, electric power was generated and transferred on the national grid, complying with all the expected parameters to ensure the supply of power starts and end-users can consume reliable energy once the plant is operational. The solar plant, which covers 4.5 square kilometres, uses patented parabolic trough technology, with curved solar panels tracking the sun’s movement, storing the energy in a molten salt storage system that will allow the plant to keep producing electricity steadily for 4.5 hours in absence of solar radiation. The Kathu project secured R12 billion in financing when construction began in May 2016, with the build expected to be completed early this year. During this phase, around 1 200 jobs were created. It is estimated that the Kathu Solar Park will save six million tonnes of CO2 over 20 years. Once operational, the plant will provide clean energy to the local community of the John Taolo District Municipality, the Northern Cape Province and South Africa as a whole. The park is expected to operate for 30 years, with a 100MW capacity delivering a projected 390GWh per year—enough to run almost 180 000 households.